Say ‘necromancy’ to someone and they’ll probably shudder. It doesn’t sound very pleasant. And if you believe popular culture, necromancy involves raising armies of the dead. 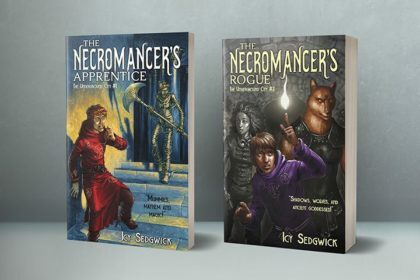 With the re-release of my dark fantasy adventure The Necromancer’s Apprentice and the publication of The Necromancer’s Rogue, I thought I’d do a little digging. Is necromancy just the art of raising the dead? Or is there more to it than that? Come with me and we’ll explore this bizarre practice together. The word comes from nekros, the Greek word for ‘dead’, and manteia, or ‘divination’. Put them together and what have you got? Yep, death divination. In its earliest form, many agree necromancy derives from shamanism. Shamans asked the spirits of their ancestors for advice. For the ancient Greeks, it was originally the ritual you did before you could enter the underworld. It appears in Homer’s Odyssey when Odysseus heads to the underworld for information about his journey home. Directed by the sorceress Circe, he uses a range of spells to speak to the spirits of the dead. According to the Odyssey, he makes a drink for the ghosts, including animal blood. His necromantic rites must be carried out beside a fire pit during the night. It all sounds rather spooky… though if you’re going to conjure spirits, it’s probably easier to see them when it’s dark. Just saying. Anyway. 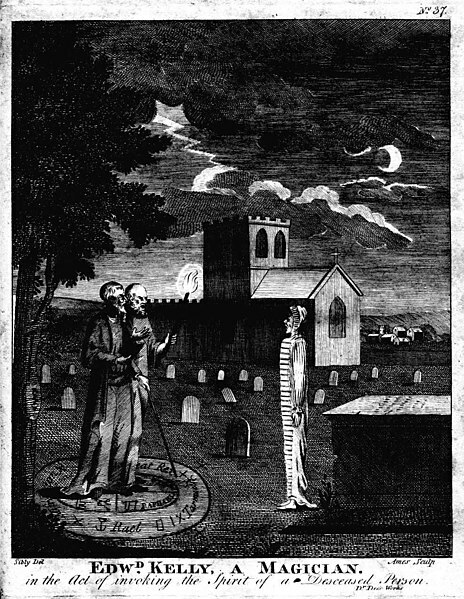 Magicians in the medieval period jumped onto necromancy to help them affect the will of others, uncover knowledge, or create illusions. They really threw themselves into the study of necromancy, turning it into a science. There’s some crossover with other black arts since a lot of this involved asking demons for assistance. Demons and the dead? Not the same thing. But they genuinely thought asking the dead could help them solve crimes, predict the future, and find lost items. I’m sure I’m not the only one who’d love to see a medieval mystery television series where a necromancer pootles around the British Isles solving crimes with the help of the dead. A word of caution around decomposition. If someone had died less than a year ago? You could take a shot at raising their body. But if you wanted to speak to a long-dead ancestor, you could only speak with their spirit. Some necromancers even burned the bodies after reanimation to grant the spirit peace in the afterlife. Promising to do so was a good way to get back in their good books after disturbing them. There’s one in the Bible. The Witch of Endor? Technically a necromancer. Saul asks her to conjure up the prophet Samuel to get advice on dealing with the Philistines. She does so, and Samuel issues a prophecy that Saul will die in battle the next day, along with his army. He ends up rather distressed and the Witch feeds him before he leaves. His army is defeated and Saul commits suicide. So apparently it’s one thing to consult the dead, and quite another to listen to them. Or let’s head to the 1st century. A Thessalian witch, Erichtho, built up a reputation as a necromancer after setting up shop in a cemetery. Sextus wanted to know who would win the Battle of Pharsalus and sought out her help. Erichtho didn’t mess about so she found a corpse on a battlefield whose lungs and neck remained intact. She emptied it of organs and filled the body with a potion. According to the legend, it contained snakeskin, hyena flesh, and the foam from rabid dogs. She called on Hermes, the messenger of the gods (and also the guide for the dead). He helped her summon the corpse’s spirit and reanimated his body. 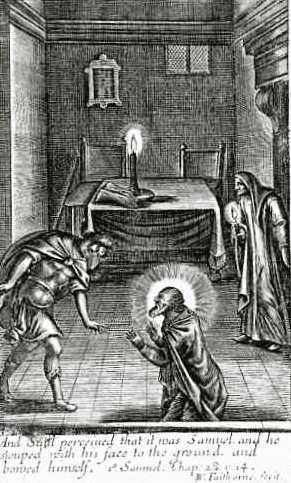 Sadly for Sextus, the outcome wasn’t what he hoped for. The spirit told him about the impending civil war and alerted him to his own death. Strangely, he still went ahead with the battle. Just knowing the outcome was enough for him. As you might imagine, necromancy isn’t fun for all the family. It requires a certain morbid frame of mind. Necromancers might wear the dead person’s clothes to get into the swing of things. They ate food that represented decay – I freaked out when I read that, but apparently, they don’t eat mouldy stuff. They eat things like black bread. Yum. According to some reports, necromancers might mutilate or even eat corpses. They hung out in graveyards and churches to ‘warm up’ for the big event. So be wary of those Goth teenagers hanging around your local cemetery. Once they’d gotten their juices going, they’d cast a magic circle and begin their conjuration. Circles are vital to most magical practices. They work to contain whatever you raise, and keep out whatever you want to hold at bay. Necromancers might burn plants like hemlock, mandrake and opium to help get the atmosphere right. They’d conjure demons by using special words or phrases. Some rituals require a ‘sacrifice’ but it’s not always killing something. It might be offering a body part (hair or blood seem popular choices) or handing over a particular object. Or, if you prefer Spiritualism, you find a medium willing to open their body to passing spirits. The medium acts like a ventriloquist’s dummy, so the spirit can pass on information using their voice box. No one really knows how much information the dead are really privy to. The Romans and Greeks thought they only knew as much as they did when they were alive. Other cultures thought the dead gained access to all knowledge ever known once they passed over. Yes and no. Necromancy practices still occur in Quimbanda, an Afro-Brazilian religion. But in the western world? The introduction of cremation removes the opportunity to resurrect the body. So the practice seems to have moved into other areas. Seances and spiritualism teeter on the edge of necromancy when spirits answer questions about the future. Even using a Ouija board could be considered a form of necromancy. Asking a dead relative where they put that winning lottery ticket would definitely qualify. Though it’s a lot less messy than the Odysseus Method. I don’t doubt there are probably people out there who still claim to practice it. But flick through any New Age guide to Wicca, witchcraft, or modern forms of spirituality. 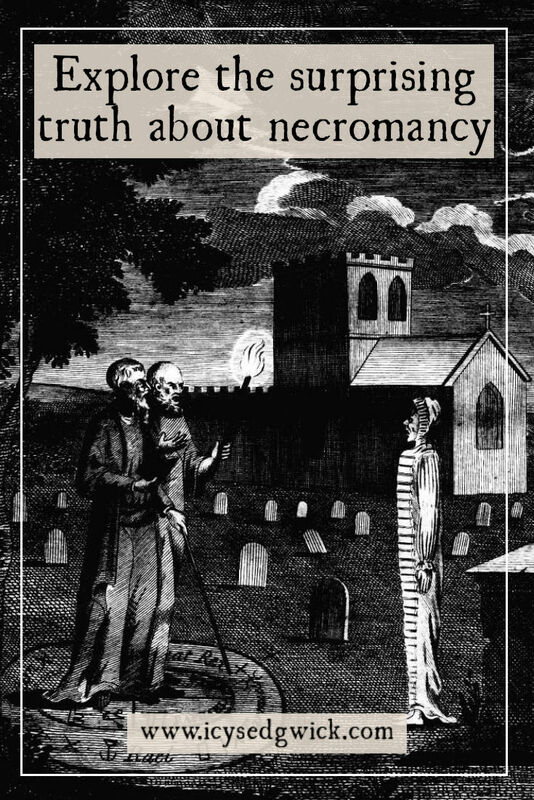 You’ll find it difficult to find many mentions of necromancy. After all, we have one thing our ancestors didn’t have. Google. What’s my Fascination with Necromancy? My Underground City series features a necromancer, Eufame Delsenza. In her world, the dead are cared for and revered as a source of wisdom. She’s in charge of the House of the Long Dead, where she cares for dead royalty. 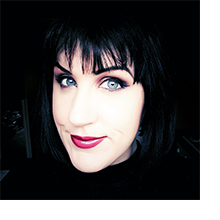 Part mortician, part sorceress, and part guardian, Eufame reaches beyond the Veil to seek the counsel of the dead. One long-dead queen, Afertari, is one of her more pragmatic advisors. Want to meet her? Sign up below to get a free copy of The Skeleton in the Floor. I took my interest in divination, necromancy, and Egyptian funerary practices… and slammed them together. In The Necromancer’s Apprentice, Eufame takes on an apprentice to help her raise the dead royals to form a coronation procession for the new king. Things don’t quite go to plan – but what would you expect from a dark, whimsical retelling of The Sorcerer’s Apprentice? Talking of TV series of the dead helping to solve crimes, back in the 70s there was a show called Randall & Hopkirk (Deceased) and it was absolutely magical! My parents loved it so much that once it came round to having reruns they’d sit me and my sister down to watch it with them. It’s absolutely great and full of some really fun ideas like what happens when people hear you seeming to talk to your old (dead) partner, or how helpful having a ghost as a crime-fighting partner can be when you are inevitably kidnapped or framed for the crimes of others! It’s not really necromancy, just ghosts, but it’s still lots of fun! My dad has this old, old joke that necromancy is just reeeeally late first aid (last aid, if you will)! It’s such a terrible joke, but I laugh every time!